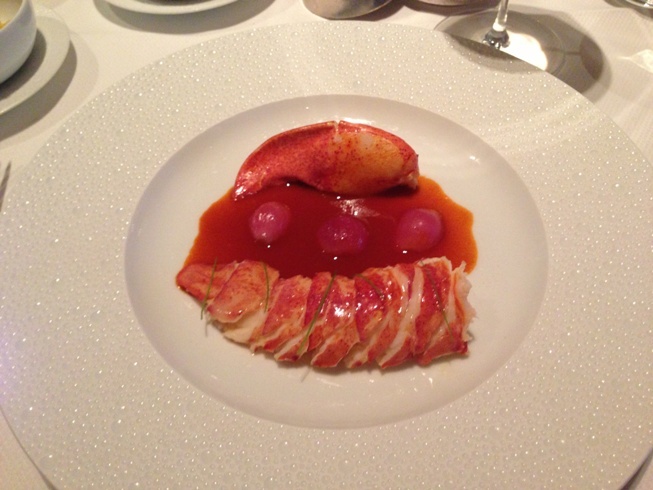 Even after all these years, Le Bernardin remains one of the culinary highlights of New York City. Several recent lunches have all been fabulous. Chef/Owner Eric Ripert has an uncanny ability to bring out extraordinary dimensions of depth and flavor from his pristine raw materials. Briny and sweet at the same time, the flash marinated Nantucket Bay Scallops taste like they just came out of the ocean. Lemongrass and lime accents add a lovely sense of brightness. What a gorgeous and delicious appetizer. Although the menu at Le Bernardin focuses on fish and seafood there are a number of dishes that work beautifully with red wine. The baked lobster ‘Goulash’, is rich in both texture and deep, paprika-inflected flavors. A side of potato gnocchi is absolutely delicious. Chef Sommelier Aldo Sohm runs one of the finest wine programs in New York City. The list is enormous, and comprehensive. In keeping with Le Bernardin’s formal ambience, the focus is decidedly on the classics; namely white and red Burgundy and Bordeaux, with a nod to Sohm’s native Austria. Unless you want to spend a half hour contemplating all of the choices, my suggestion is to start with a glass of Champagne and ask for guidance, which is what I usually do. 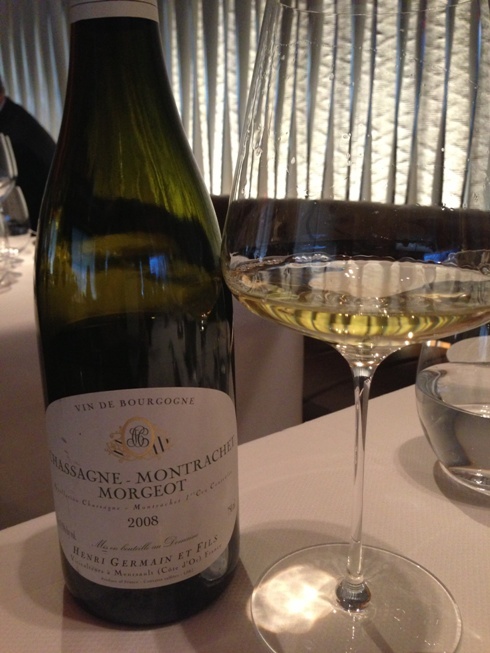 Germain’s 2008 Chassagne-Montrachet Morgeot is rich and ample, very much in the style of Morgeot. The brushstrokes are broad, with more emphasis on texture than precision. 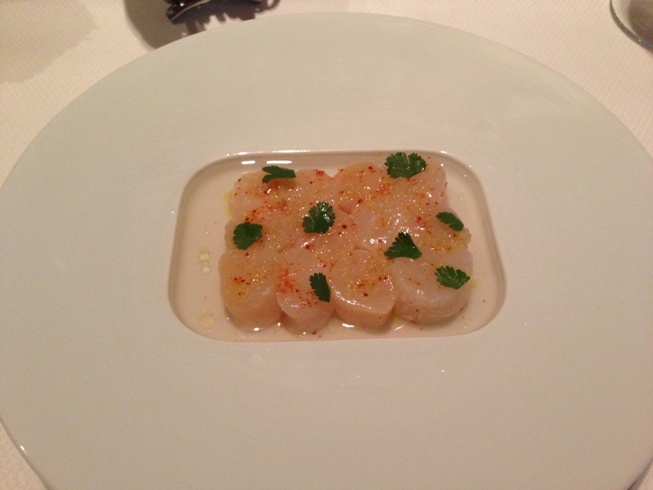 As much as I enjoy the Morgeot, it is in my view a touch too burly for the food at Le Bernardin. 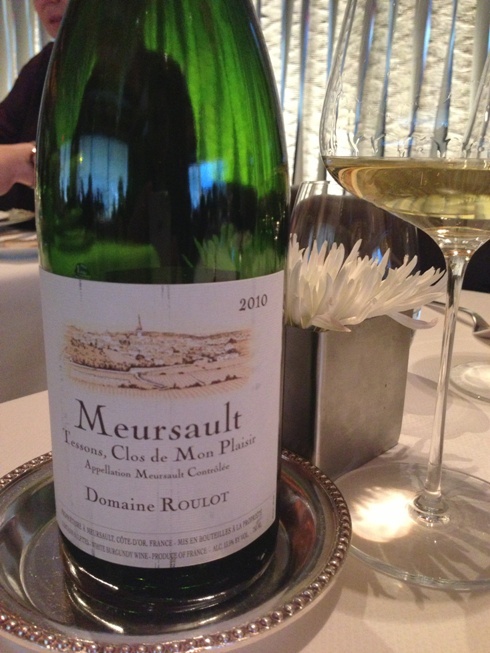 The 2010 Meursault Tessons, Clos de Mon Plaisir from Jean-Marc Roulot is flat out dazzling. Bright, floral and beautifully delineated, the 2010 pairs with our dishes perfectly. Like all truly great wines, the Tessons has more than enough class to be delicious on its own. I especially admire the way the Tessons achieves both depth and weightlessness. Underlying beams of minerality add energy and a gorgeous element of focus. Although the 2010 is far too young to fully appreciate, it is striking. Towards the end of lunch we are in the mood for a red, so I ask Sohm to pick something out. He chooses Lignier’s 1999 Gevrey-Chambertin. I wish I could convey just how gorgeous the wine is. 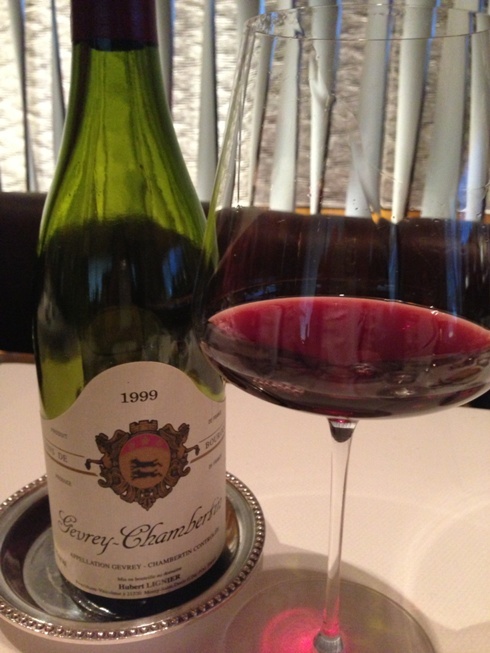 Remarkably fresh and vibrant, the 1999 bursts from the glass with the sweetest dark cherries, hard candy and flowers. At fourteen years of age, the 1999 is just beginning to peak and shows no signs of fading whatsoever. This is a villages? I could drink the whole bottle myself, to be honest. What a wine! And that is why Sohm is one of the world’s best. He knows exactly what to pick for the occasion and guest. There is no need for dessert. A few pieces of cheese and the last glass of this utterly compelling Burgundy is the perfect way to wind down the afternoon.